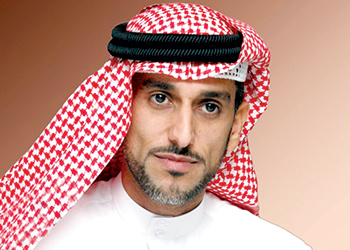 Saif mohammed AL MIDFA, CEO of Expo Centre Sharjah, has been elected as chairman of the Arabian Gulf Chapter of the International Association of Exhibitions and Events (IAEE), the leading association for the global exhibition industry. IAEE is the largest association of the exhibitions and events industry in the world with a membership of show organisers, exhibitors and exhibition suppliers. Organisers of more than 20,000 exhibitions and buyer-seller events around the world are members of IAEE. The recognition for Expo Centre Sharjah and its CEO comes a few months after Al Midfa was elected as the first vice chairman for the Middle East/African Chapter of the Global Association of the Exhibition Industry (UFI), Paris. “It is an honour for both me and Expo Centre Sharjah,” said Al Midfa, while pointing out that Expo Centre Sharjah’s close association with IAEE can be traced back to 2008, when the Arabian Gulf Chapter, though set up in 1997, was formally inaugurated at ECS. The IAEE Arabian Gulf Chapter has had an office at ECS since that time. “It is the regional chapters that spearhead the front-line operations of the IAEE and offer superior networking and educational opportunities to members. We will now be able to play a significant role in extending benefits in education, research, statistics and general exposure for members of the chapter,” said Al Midfa. Globally, IAEE is composed of 1,300 members (organisations) and over 9,000 member representatives (individuals), while the Arabian Gulf Chapter has 30 members.